OPEN TO ALL CONNECTS HELSINKI DELEGATES! Like parties but don’t like queues? 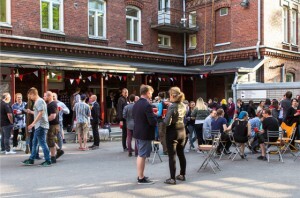 Then our Badge Pick Up Party, made possible by our chums at Nordic XR Startups, is the place for you. Swing by, grab your Connects Helsinki badge, a drink, and some good times in the company of industry friends, new and old. It’s a jolly way to kick off the Connects experience and you get to skip registration on Tuesday morning and wander straight in. Winning.